The Women's Solara II Shoe has a supple microfiber upper and a micro-ratcheting, low-profile buckle that offers precise fit adjustment. The upper is now welded and bonded, resulting in fewer seams for reduced hot spots and improved comfort. 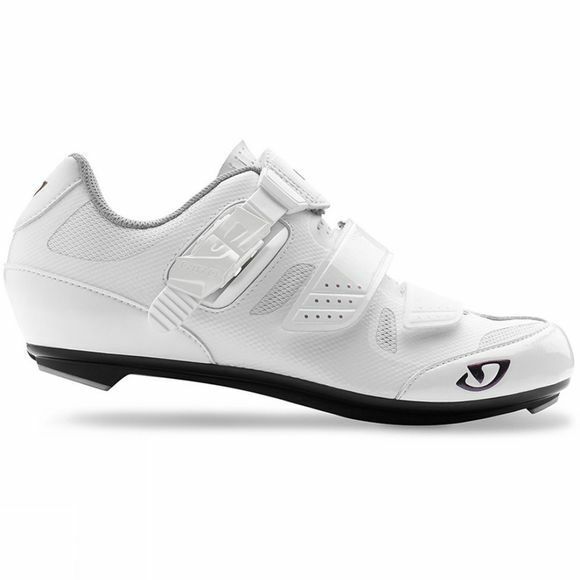 A supportive EVA footbed with Aegis® anti-microbial treatment is matched with stiff DuPont® Zytel nylon outsole to create an efficient, powerful platform for transferring energy to the pedals. It's a great choice for enthusiasts or recreational riders who are on the road to becoming dedicated cyclists.